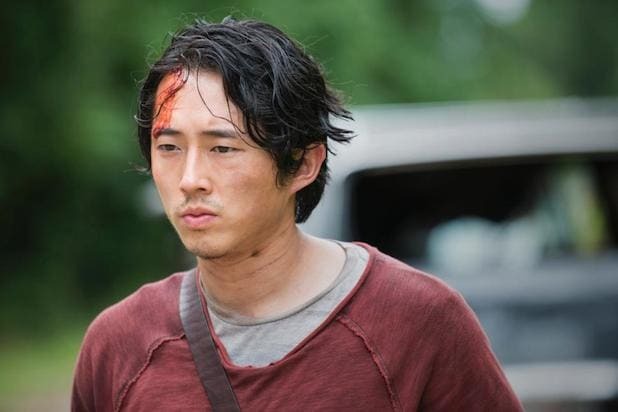 GLENN (STEVEN YEUN) Why it's him: Glenn is the unlucky victim selected by Negan in the comics. 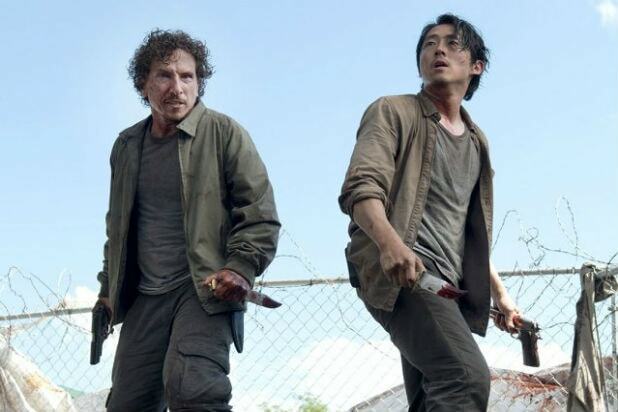 Why it's not him: It would be silly to kill him now, after his near-death experience early in the first half of Season 6. 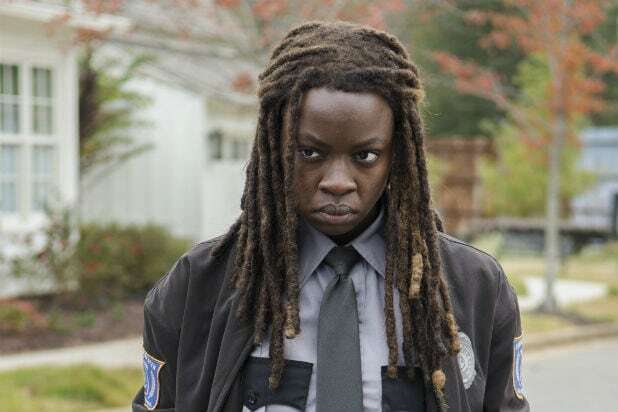 MICHONNE (DANAI GURIRA) Why it's her: Michonne and Rick began a romantic relationship this season, and what better way to crush fans' hearts than to make him watch her get beaten to death? DARYL (NORMAN REEDUS) Why it's him: Reedus has a new AMC travel show and may want to free up his calendar. He was also on "Talking Dead," an honor usually reserved for people whose characters died. Why it's not him: He's too popular. MAGGIE (LAUREN COHAN) Why it's her: She would make sense as a substitute for Glenn. Why it's not her: Would the show really kill a sick pregnant woman who everybody loves? AARON (ROSS MARQUAND) Why it's him: He's had so little screen time, he's disposable. Why it's not him: He's had so little screen time, his death would have no weight. We only have this one picture of the poor guy. If the show wants to kill him, it should give him more lines first. EUGENE (JOSH MCDERMITT) Why it's him: He's made a point of stepping up to prove himself a survivor, and, well irony. Why it's not him: He still has room to grow. And so does his mullet. ABRAHAM (MICHAEL CUDLITZ) Why it's him: Abraham died in the comics in the manner that ultimately led to Denise's death on the TV show a few weeks ago. With his arc complete in the comics, it would make sense to kill him off now. Why it's not him: His refusal to cower seems to have maybe won him Negan's respect. Why it's not her: Sasha turned her hopelessness around last season, and it would be too depressing for her to die now. ROSITA (CHRISTIAN SERRATOS) Why it's her: She's in the sweet spot for "Walking Dead" deaths: popular and long-running, but not so popular and long-running that the show can't go on without her. Why it's not her: Because it would feel like the show once again built up a character just to kill her off when it was dramatically convenient. CARL (CHANDLER RIGGS) Why it's him: Some fans don't like him lately, and they didn't even soften when he lost his eye. Why it's not him: Hasn't he been through enough? Also, Negan charmingly commands, "If anybody says anything, cut the boy's other eye out and feed it to his father," right before he bludgeons his victim to death. Chances are he wouldn't say that if he was about to kill Carl. RICK (ANDREW LINCOLN) Why it's him: It isn't him. Why it's not him: It isn't him.